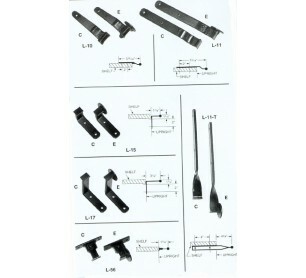 Cotterman Single Trak metal left end stop bracket for vertical - Model L152. Left end stop bracket for vertical shelf mounting. Select the proper model based on top step height required for your application. Keep in mind the maximum working height is approximately 5-6 feet above the top step height shown. Based on the model selected, specify the required track height from the floor to the top of the track (1 inch increments). Stay within ranges shown. 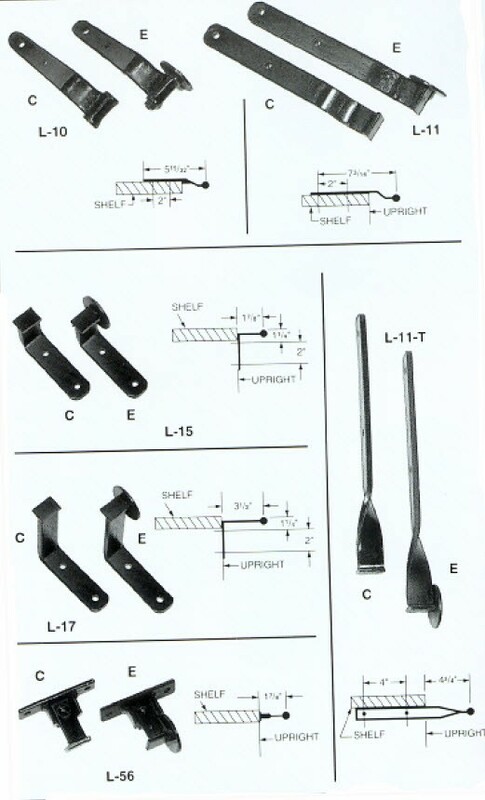 Choose L10 or L15 brackets (2 ends per track run and 3 foot maximum center spacing) for attaching the #78 track to either horizontal shelf surfaces or vertical shelf supports.